Throughout the course of homeownership, repairs and upgrades are made on the house in order to keep the house up-to-code, working properly as well attractive. Small changes such as new carpet installed, fresh paint or replacing older appliances with newer appliances are some of the more common forms of upgrades a homeowner might choose to make on his home. Upgrades are important for several reasons. As old appliances begin to wear, they can become a safety hazard, new technology can provide a more energy efficient way of doing things and lastly, technology has improved the attractiveness of most items needed for the functionality of a home. Keeping energy cost down is important to most homeowners and so they strive to find new and innovative ways of doing so. One simple cost effective way of lowering energy cost is by upgrading a few appliances as well as your appliances ventilation systems. A poor ventilation system can actually increase the cost of energy as heat and moisture stay trapped inside. Trapped moisture can produce build-up of mold and mildew making the home an unhealthy living environment for family members who might suffer with allergies and asthma. In order to prevent unsafe and hazardous living conditions, a home needs have a properly installed copper dryer vent. Most homes are furnished with either an aluminum or plastic dryer vent to help create ventilation in certain areas of their home. However, recent research has shown that more and more homeowners are choosing to upgrade to a copper dryer vent due to their eye appeal and durability. The initial cost of investing in a copper dryer vent will prove to be beneficial as the copper dryer vent will not crack, rust or wear out as quickly as the plastic and aluminum dryer vents do. 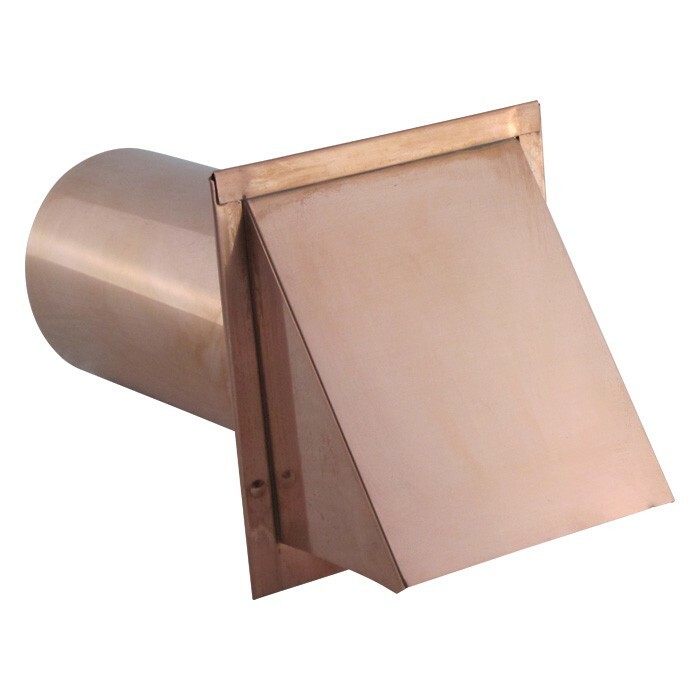 The copper dryer vent is growing in popularity amongst those who suffer with severe allergies and asthma because of its ability to repel against mold and mildew build-up. Upgrading to a copper dryer vent has many benefits, but for those who are contemplating the possibility of selling their home or building, installing a copper dryer vent does much to add value and appeal. Copper has the ability to age beautifully where aluminum and plastic over time begins to look rusty, dirty and out of date.